Let the comparison between the mobile app vs mobile website continue. In our Part 1 of “The Problem with the Apps-Mosphere,” we documented the problem with apps – specifically, the fact that the market in which they stand is over saturated. We mentioned that the app market expanded 49% between 2011 and 2012, whereas the smartphone ownership only increased by 10%. Moreover, as the infographic from AppsFire indicates, just over 10% of all apps see any kind of success, a dismal statistic to say the least. Granted, the competition is fierce, and as economic competition suggests, competitors will enter the market with a similar offering if they see an existing one going strong, until equilibrium is reached. That said, there are many different apps on the market with little to no product differentiation, and perhaps this is a valid explanation for the lack of success that most apps see – they are imitations of a greater one. Regardless, apps pose an undeniable problem for growing businesses. Companies whose business models do not require apps as a keystone for success should therefore think twice about developing them. It’s costly, and unless you have a sizable budget, it’s going to be extremely difficult to stand out in the masses without adequate marketing. Adding support for other devices increases costs by 3x on average as well, and even then, reach is still not as good as a universally compatible mobile website. The number of prospects reached for every dollar is dramatically higher with a mobile site, and thus more cost-efficient. Granted, developing a mobile website does not give you the flexibility that an app does – that is, your UI might not be as impressive and responsive. But with the advent of HTML 5, companies like Onswipe are constantly refining the mobile browser platform to work very similarly to a regular app but with the cost and reach of a mobile website. 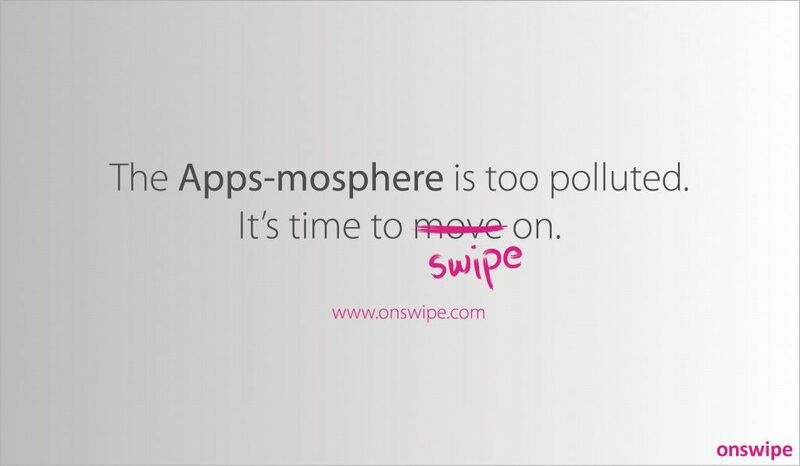 In essence, a tablet-optimized platform like Onswipe’s achieves the best of both worlds – avoiding the cost of app development while simultaneously achieving an app like experience with maximized prospect reach. The mobile browser is quickly becoming more powerful and compatible with rich media, and this transition is clearly paving the road for more effective mobile website development. So unless a business has the intention of creating an interactive game or something similar, mobile websites are truly the way to go. So with that, we conclude the comparison between the mobile app vs mobile website. What do you think? Is the mobile browser is a better way to go? Let us know on Facebook and Twitter, and don’t forget to like or follow us while you’re at it! Stay tuned for company updates, musings, industry news, and much more.